Sony has launched a new motion picture Camera of next generation. Sony Venice is the Sony’s first 6K Full Frame Cinematographers Camera which can produce 24frames/second video recording system. 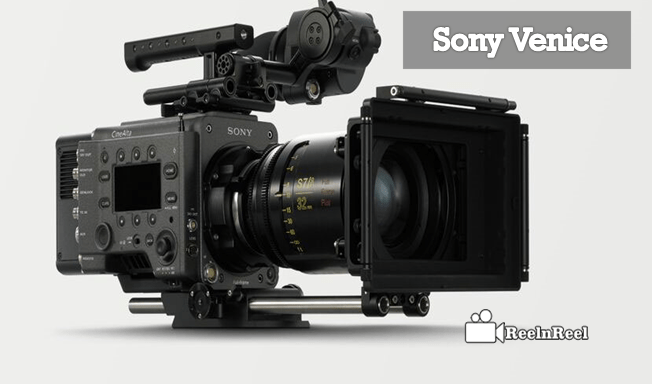 Venice is the Sony’s first Cinema camera designed for motion pictures allows full frame sensor. Sony is giving customization options to users to customize the camera by enabling the future needed by an individual users production requirements. Sony Venice can capture maximum resolution of 6080 x 4032.It can in a Super35 mode with 4K resolution make compatible with cinema lenses. It can support Super 35 24.9×18.7mm which is equal to the resolution of 4096 x 3024 and Super35 24.9×14.0mm which is equal to the resolution of 4096×2160. Sony introduced eight-stop ND on the Venice which is not introduced by any of the Cinema cameras. The high-end Cinema cameras have six-stop ND but Sony Venice allows eight-stop light reduction. Venice comes with Firmware and upgraded then the camera can shoot 36mm wide 6k resolution picture quality. The main advantage of using Sony’s Venice X-OCN format, which is equal to the 16-bit RAW footage. Also support 10-bit XAVC codec, in future is planning to offer ProRes Firmware update. Venice offers high-speed readout sensor which is used to minimise the jello effects. Minimizing the jello effects is typical in COMOS sensor. Sony’s Venice inbuilt Phenomenal latitude which can offer a wide range of colors that can expand to Rec.2020 with low noise of extraordinary performance. Venice comes with PL/E MOUNT industry standard PL lenses. This feature allows changing lenses rotating locking collar by itself. Venice eight stop ND filters are Future Proof, Production to Post, Browse and View, XAVC, X-OCN.RAW and Dual Recording. Installation of Venice mount is very clever because it is not a traditional lens mount adapter that can exist in E-Mount. The above is an extraordinary guide to Sony Venice 6K Full Frame Cinema If you are an n Industry person or a Cinematographer you can go through the guide to know more feature about Sony Venice 6K Full Frame Camera.